Flour Craft Bakery: Support us with edible credits. Simply the BEST gluten-free, small batch granola you'll ever taste! 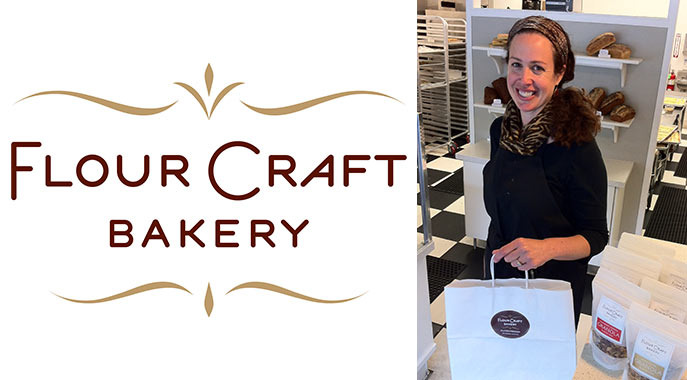 Flour Craft Bakery is Marin County's first 100% dedicated gluten-free bakery. This is where the magic of our granola happens! We hand craft all of our gluten-free, vegan granolas in small batches, and laboriously slow roasted each batch with only the very best ingredients. After a lifetime of suffering from chronic digestive issues, I made the lifestyle switch to gluten-free in 2000. What I craved most were quality gluten-free baked goods, and my most beloved breakfast item… granola! Finding myself dissatisfied with products available, I started creating my own. Fast forward to a career change which lead me to pursue my love for baking professionally and later, to the birth of Flour Craft Bakery. Our focus is on 100% delicious pastries, fresh breads, special occasion cakes, and desserts, that just so happen to also be gluten-free. Additionally, our granola line has been our foundation of our business from the beginning. ! We're inspired to keep creating and growing because of you, our loyal customers. It is my sincere pleasure and passion to share our delicious gluten-free granolas and baked goods with you! We will be able to launch new products and purchase new equipment to help with growing demand for our products. You all are super hungry for our food (yay!) and we want to more efficiently satisfy your cravings. At the register, use the Credibles app on your smartphone to redeem your credits for Flour Craft Bakery.